parent plants in the 16th century. 1840s and it is continuing to increase. 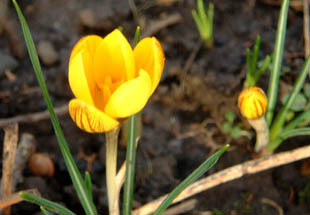 Yellow Crocus is a non-native, cormous herb. 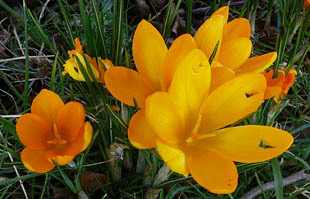 the outside of the petals. The leaves have a central white stripe. 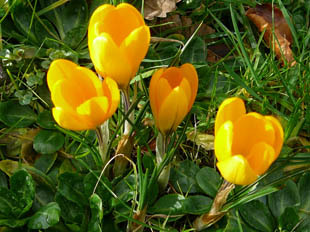 It spreads vegetatively because the flowers are sterile.